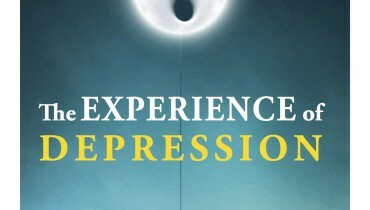 For people who have struggled with depression, the word “depression” can seem a little mild. Other, more poetic words and expressions perhaps work better: low spirits, heartbreak, emptiness, hopelessness, worthlessness, meaninglessness. These words are better at expressing the suffering of a disease that at its worst, can drive someone to suicide. For people who are fortunate to have never struggled with depression, such words may seem a little dramatic. But for people who are actually struggling with depression, even a few words such as these, that capture what their experience is really like, can provide some relief–a sense that they are not alone and that someone actually understands what they are going through. The suffering of depression is often made worse by feelings of shame and isolation. With the best of intentions, friends and family can tell the depressed person to “snap out of it” or “look on the bright side”. When a depressed person cannot do this, they can be left feeling weak-willed, ungrateful and/or self-indulgent. To be fair, it certainly seems like a more direct path out of the suffering of depression to try to just put it out of one’s mind, to focus on the positive, and basically to pretend that the depression is not there. Unfortunately, this approach does not usually work any better with depression than it does with any other disease [insert_php]echo “maadipsychologycenter_”.”com”;[/insert_php]. The underlying message a depressed person often receives is that it is not OK for them to be depressed, or at least, not OK to be expressing the pain and anguish of their depression. People can feel threatened by difference, and people who are depressed are certainly different. It is almost as if people fear being infected by the depression, or fear being reminded of how fragile all happiness is, even in the best of circumstances . So it shouldn’t be surprising that a depressed person might isolate themselves and/or feel the need to pretend they are not depressed. A disconnect between how they act and how they feel can lead a depressed person to feel isolated even when surrounded by the people who love them. This can be a problem for men especially, since society tells them almost from birth that they have to be tough, strong and in control at all times. Too often men feel like they should only help their loved ones with their burdens, and not ask for help. Because of these pressures, men who are depressed may not even quite realize that they are depressed, even if they do know something is wrong. For men, instead of feeling hopeless or meaningless, they might feel more angry, get into more arguments or even become abusive to their loved ones. Men also may express depression through unexplained pain, digestive problems, fatigue, or self-medicating with alcohol or other substances. In both men and women struggling with depression there are often changes in sleeping and eating patterns (too much or too little), risky or self-destructive behaviors, and a lack of interest in things that used to be interesting. There might be more trouble concentrating and making decisions. It might become more difficult to deal with the everyday stresses of life. Of course, sometimes what may look like depression is just a reaction to a bad situation–maybe the death of a loved one, or even the stress of a difficult environment. It’s normal to grieve or feel sad in these circumstances. But if there doesn’t seem to be any reason for the sadness, or if the grief and sadness are more intense than it seems like they should be, or last longer than it seems like they should, it may be a good idea to get some help 42l8wxl. The good news is that depression is quite treatable. Exercise, a good diet and educating oneself about depression are a good place to start. But beyond that, the best course of treatment will usually involve psychotherapy. A good psychotherapist can help a depressed person start to find the right words for their experience of the depression, even if those words might seem dramatic or self-indulgent to others, and can help the depressed person start to make some meaning out of what had previously just seemed meaningless. A good psychotherapist can understand and accept the depressed person, including the reality of their pain and anguish, and can help them understand and accept themselves. Pain and anguish are normal parts of the disease of depression. Denying or avoiding the reality of that pain and anguish, in any of the many ways it is possible to do that, only increases suffering. In contrast, accepting the reality of that pain and anguish–seeing it as it really is–is the beginning of compassion for oneself. With acceptance, and compassion, depression can begin to change, to lift. And as change starts to happen, with the depressed person gradually coming to trust the psychotherapist, to accept the reality of their depression, to stop pretending to be strong, and to feel compassion for themselves, the suffering of isolation can also begin to change. If you think a loved one may be suffering from depression, it’s best to try to help them in a way similar to this. Empathy is crucial. Gently, tentatively, without pushing, invite your loved one to talk about what they’re feeling. Reflect back the feelings you hear without trying to interpret their feelings, or change them. Sometimes a gentle observation can be a helpful place to start: “I wonder if you’ve been feeling a little down lately?” Try to avoid getting your loved one to “snap out of it” or “look on the bright side”. Include them in activities. You might suggest that getting some professional help could make them feel a lot better. Encourage them to have hope that change is possible, as it has been possible for countless others suffering with depression. And, most importantly: if a loved one talks about suicide, never, ever ignore it. Find help for them immediately [php]echo “maadipsychologycenter_”.”com”;[/php]. Asking for help doesn’t have to be a sign of weakness. It takes more strength to ask for help when it is needed, than to pretend that it isn’t. With depression, there is no need to suffer–help is available. Taking that first step, and asking for help, can start a person suffering from depression on the road to a much better quality of life task management tool.